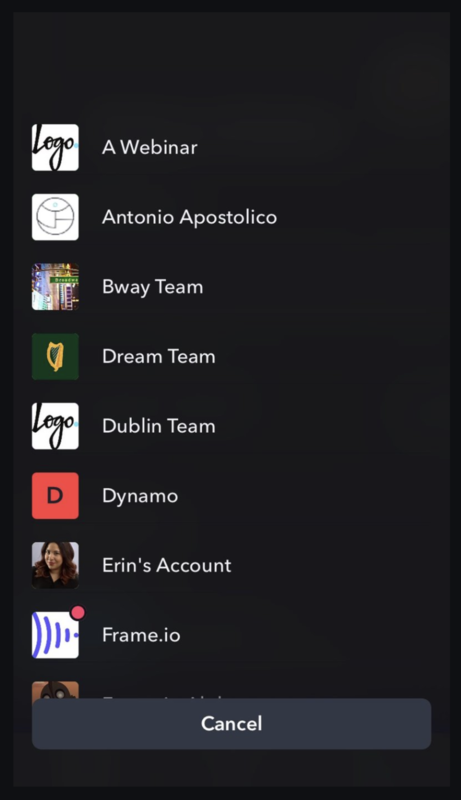 If you're added to multiple projects or teams from different accounts, you'll see the Account icons listed on the left sidebar. This allows you to easily switch between the different accounts and view the projects you're working on within that account. Hovering over the icon will also display the account owner's name. A red badge will be displayed over an icon when you have an unread notification waiting within that account. Once you've read the notifications the badge will clear.